There are reams of books written about management, filled with advice, tactics, and strategy for managing people. Some of that stuff is even helpful in certain situations. But the how of managing is not nearly as important as the why. Why is this a goal for you? Stop and think about your values for a moment. Do you want to help your career, or to help people? There is no right or wrong answer, but it is important to understand what you are trying to accomplish. If you want to be a better manager, all you need to do is put people first. If you put people first, I guarantee you will become a better manager. But it may not help your career, at least in the short run. It should, but sadly it may not. It depends on the values of your company. I have worked at companies where it seemed like the worst managers got promoted the most quickly. They neglected their reports, and would not spend an ounce of political capital to help their people. 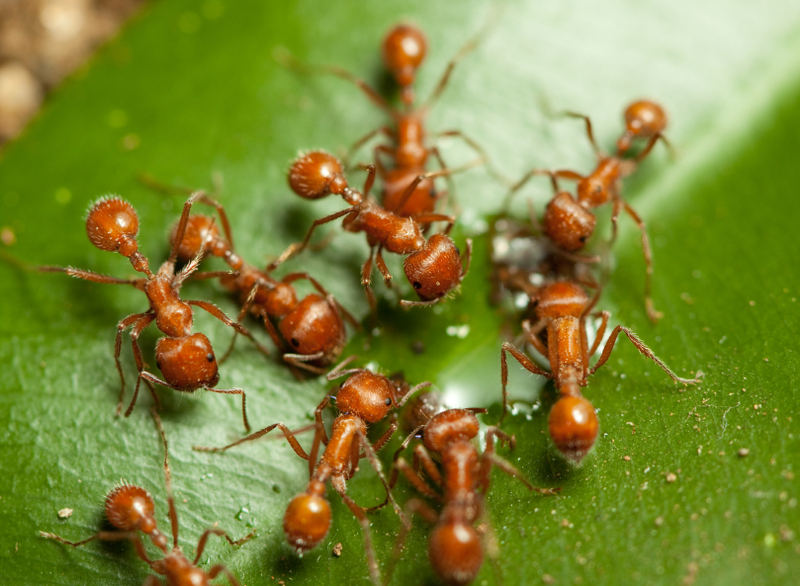 Even worse, some of these fast-track managers have the people skills of a fire ant – they can bite and cause pain, but other than that they aren’t good for much. Pain can drive results for a while, but if someone is bitten too often, they will sicken and whither. Fire ants never bite the queen, and a Fire Ant Manager will never bite someone more senior in the company hierarchy. The Fire Ant Manager spends his or her energy managing upwards. This is an issue of company culture. Some companies have a culture that favors spin over substance, how you say something over how well you do something. If you want to get promoted, maybe the last thing you should be doing is spending more time making your people successful, because it takes away from time you could be managing upward, chairing executive initiatives and working to be visible. Fire Ant Management is a short-term strategy. Eventually, a fire ant will get stepped on by someone bigger. Getting promoted is really satisfying because it’s an acknowledgement of accomplishment. But if you aren’t happy before the promotion, you won’t be happy after the promotion. And I guarantee you that if you are in a toxic company, there is no way to both put people first and do what it takes to get promoted. Bill was never promoted to VP in the five years he worked at that company, but the skills and connections he built helped him get his next job at a different company – as Senior VP and President of a new business division. Bill put people first. Put people first. What does that really mean? Way #1 Be present: by making time to talk to your reports, and listen attentively to what they really need. Google recently found that its most successful managers where those who made time to talk to their reports, and listened to their problems. This was a big surprise to Google management, who traditionally promote people based on technical accomplishments. Way #2 Model a healthy life: by getting plenty of sleep, eating well, and staying physically fit. You will be more relaxed, more clear-headed, and be more in the moment for your employees. All of this leads to better decision making. Way #3 Model a balanced life: by avoiding after-hours email, and staying home on the weekends. If your employee is working all the time, eating poorly, and not getting enough sleep, you can be sure that she is not operating at anything near her peak efficiency. It is critical that you model a healthy and balanced life first. Your employees will follow your lead. Way #4 Set achievable goals: that don’t require 80 hour work weeks. This will make your employees life better by allowing them a fulfilling career that doesn’t crowd out everything else. And as their stress level goes down, they too will begin to make better decisions at work. Way #5 Shield your team from the politics: your company culture may not support this approach to put people first, but you can run interference with management and enable your team do their jobs effectively. Your people will appreciate it, and your interactions with them will become the best part of your day. So, do you still want to be a better manager? If your values put people first, when you apply those values in the workplace, you will become a better manager. Even if it you think it may slow your career, it is ok if you decide to put people first anyway. It will make you feel better, and will lead to a happier and more fulfilling life. Greg Marcus, Ph.D. is a modern-day Abraham who smashes corporate idols to help the chronically overworked find a more fulfilling life. At Idolbuster.com, Greg explores the relationship between values and priorities. You can follow Greg on LinkedIn or Twitter. I read this book about successful leaders by Jim Collins called ‘Good To Great’ – I’m sure you heard of it. Although the book focuses on CEOs, some aspects also apply to managers and supervisors, or anyone working with other people. The two most important things, in my mind, are these: 1. Put the right people on the bus (not to be confused with ‘Don’t Let the Pigeon Drive the Bus’ 🙂 2. Good leaders blame themselves (look in the mirror) if things are not going well in their company and give credit to others (look out the window) when company is successful. Wouldn’t it be great to have more leaders/managers like that?